Services: 11,000m2 of Raised Access Flooring/2,500m2 of Trowel Applied Screed/1,350m2 of Self Level Screed/ 1,350m2 of Trowel Applied Resin. IFT were contracted by McLaughlin and Harvey to install a range of flooring services to the new-build construction of Ayrshire College Kilmarnock Campus. 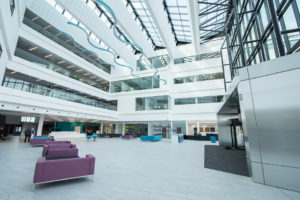 The project involved the redevelopment of part of the former Diageo Johnnie Walker Bottling Plant to provide an 18,300sqm building arranged over four-storeys delivering modern state of the art educational facilitates to be used by 5,000 students each year. IFT installed the raised access flooring which involved supplying and fitting over 11,000sqm of bare and bespoke vinyl covered panels over varying void depths. 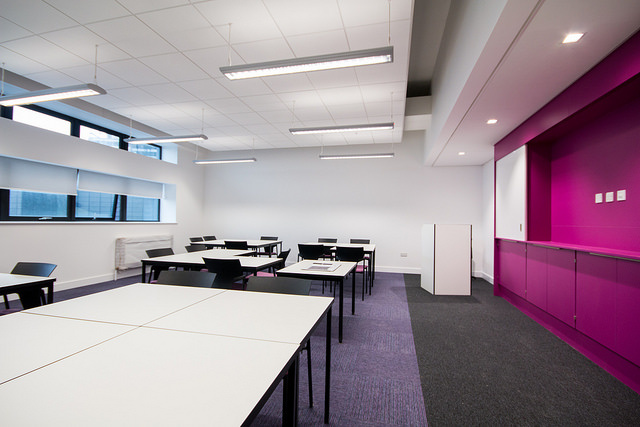 This provided a fit out to best achieve a professional modern working environment for all faculties within the Kilmarnock Campus. In addition to the raised access flooring we also installed 2,500sqm of Trowel Applied Screed, 1,350sqm of self-levelling screed and 1,350qm of Trowel Applied Resin throughout the building. 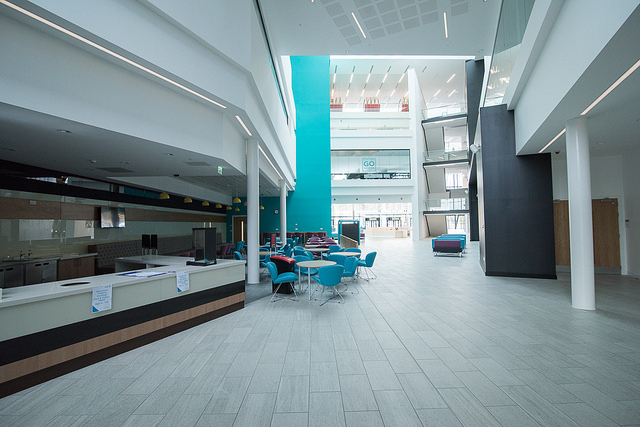 The successful delivery of our works provides evidence of IFTs ability to provide a range of fully integrated flooring services within substantial projects. 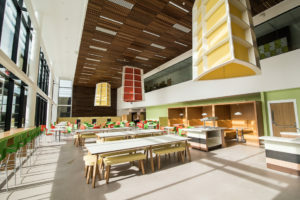 A project of this size, duration and range of services installed involved intensive knowledge, management and supervision throughout and displayed the variety of integrated services that IFT are able to successfully install. 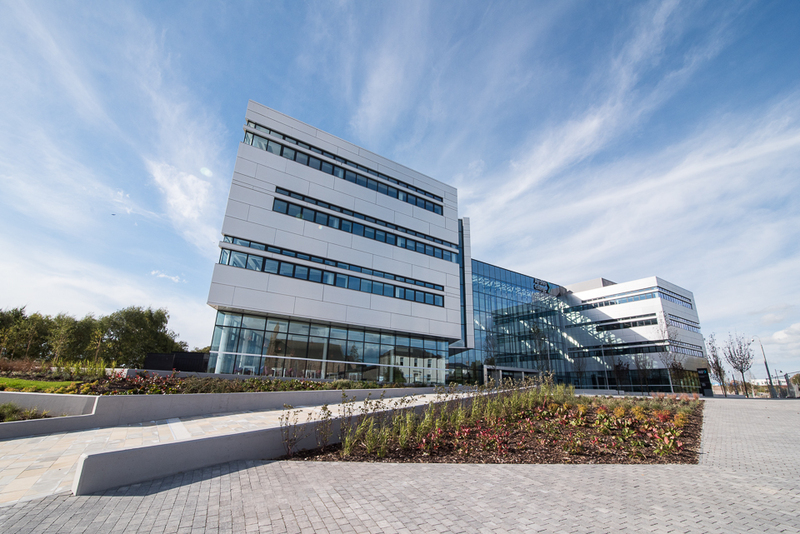 We are delighted to have played a vital part in the redevelopment of this key Ayrshire site. The integrated service, providing one point of contact for multiple packages, was an efficient system that worked well on site to allow us to get better productivity and a more cost effective method of delivery. We would commend IFT on their diligence, workmanship and quality on site.